By taking CNA classes online, you can place yourself on the fast-track to earning your nursing assistant certification without sacrificing other important aspects of your life. Online programs make it possible to complete most of your training while balancing work, parental responsibilities, and other obligations with your studies. Not only that, but some online CNA training classes can be completed in just four to six weeks! In order to become a Certified Nursing Assistant, you will need to earn a CNA certification. This post-secondary award is given to individuals who have passed a standardized nursing competency exam, and allows its holder to be listed on their state’s registry. In most cases, employers require a candidate to be listed in this registry before considering them for any nursing assistant position. Please note that, in addition to the multiple-choice section of the exam, the certification test also includes a “hands-on” section. This portion of the test screens students for their aptitude and familiarity with basic patient care techniques such as bathing, feeding and assisting patients with their mobility. These skills are acquired during the clinical phase of CNA training which must be completed outside of online classes. Who Offers the Best CNA Classes? Regardless of your personal preferences, there is no shortage of outstanding, accredited schools that offer CNA classes online. 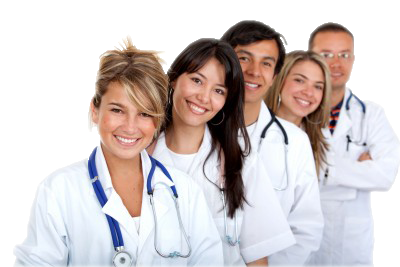 Programs like those offered by University of Phoenix, Stratford Career Institute, Walden University, Chamberlain College of Nursing, Grand Canyon University and others are specifically tailored to providing online students with the same level of professional training that one would receive in a conventional nursing program. The most important thing to look for in a CNA certification online course is accreditation status. Any program you consider should be fully-accredited by either your state board of nursing, or a national governing body like the NLNAC (National League for Nursing Accrediting Commission). To gain recognition from one of these organizations, an institution must meet numerous academic and training standards and maintain its good standing throughout regular reviews. Regardless of whether you are interested in taking your CNA classes online or at a traditional Certified Nursing Assistant school, you will be required to show proof of either a high school degree or GED prior to enrollment. It is also quite common for schools to test applicants for basic math and English skills prior to admitting them into their programs. Find CNA Classes Online Now!